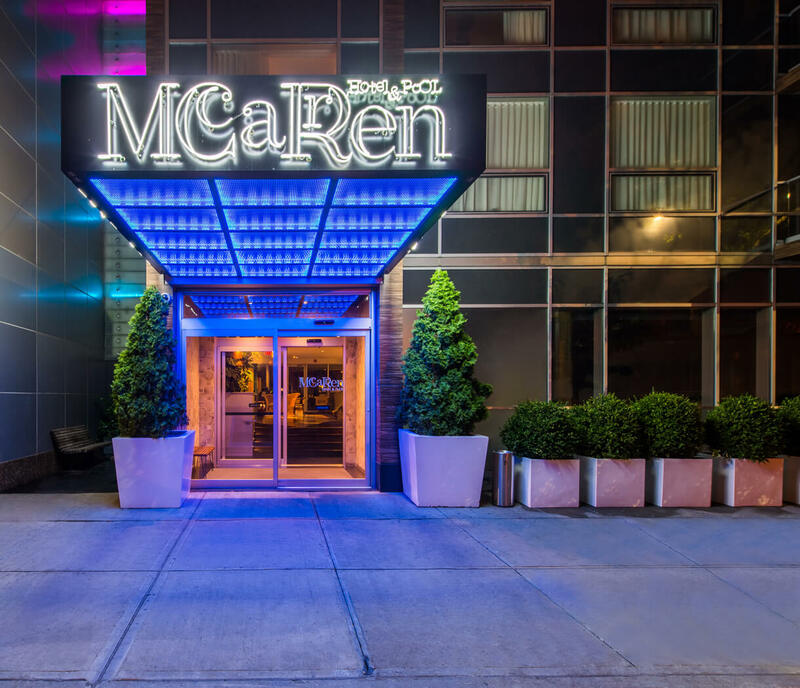 If you're looking for a modern hang with the best views of NYC to enjoy your New Year's Eve, then the McCarren Hotel Rooftop in Williamsburg is the spot for you. 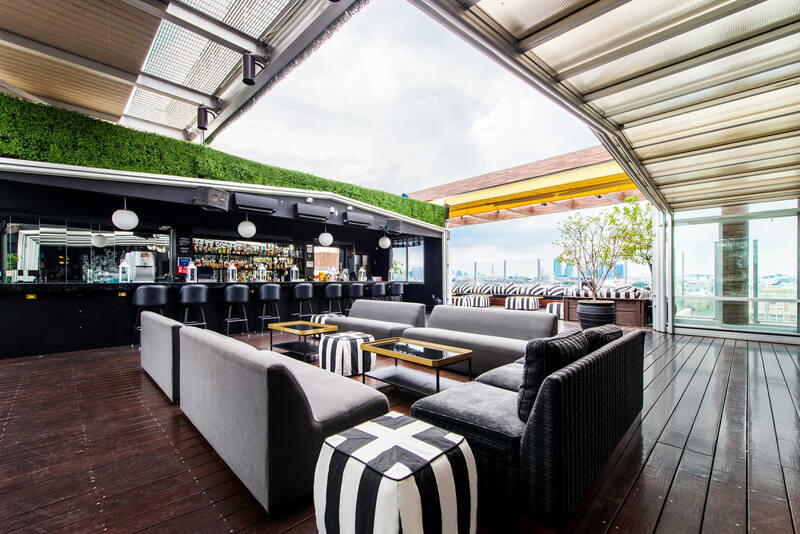 This fully-stocked rooftop bar has an eclectic aesthetic that makes this party spot exceptional. Kick off the New Year on trend with all the amenities your heart desires. Fuel up for a night of excitement with a five hour premium open bar, savoring decadent cocktails crafted from your favorite spirits, before moving on to the early evening buffet of tasty bites. 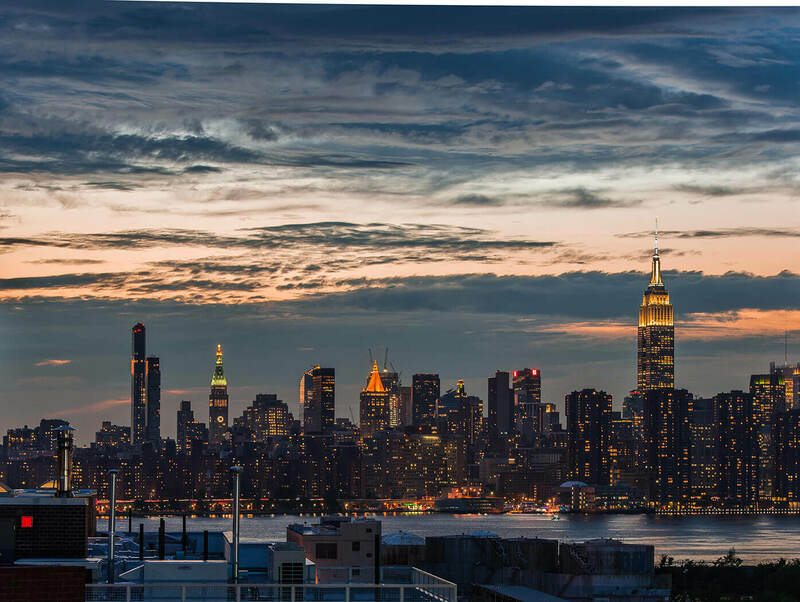 When you're fully satisfied, hit the dance floor to bask in the Manhattan skyline and enjoy a live DJ playing an energetic mix of hip hop, Top 40, and house music. As midnight approaches and the DJ leads the live countdown, don fun party favors and a complimentary glass of champagne to toast the coming year, and be sure to keep an eye out for fireworks shows across the city skyline. This year-end bash has all the ingredients for a memorable evening, but if you're looking to truly embrace the New Year in style, snag a VIP ticket for awesome perks like priority entry, reserved seating, and bottle service for your personal table. 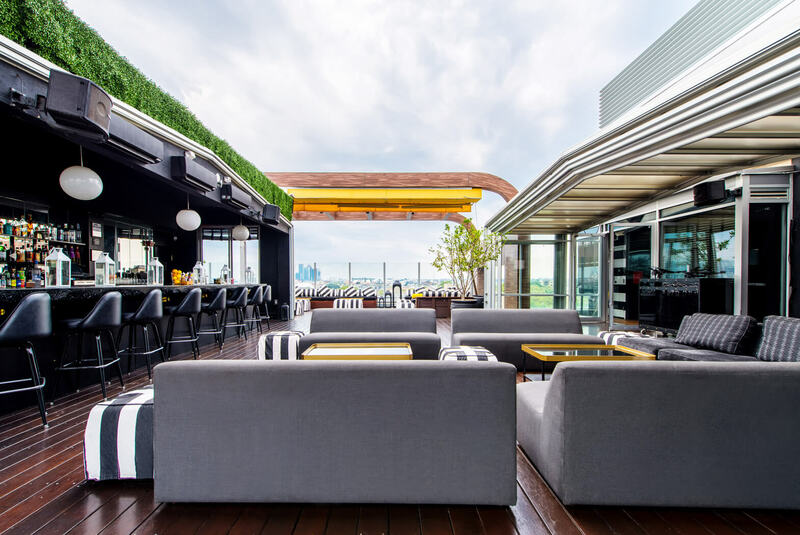 Overlooking the East River in trendy neighborhood of Williamsburg, the McCarren Hotel Rooftop is a premiere nightlife destination. 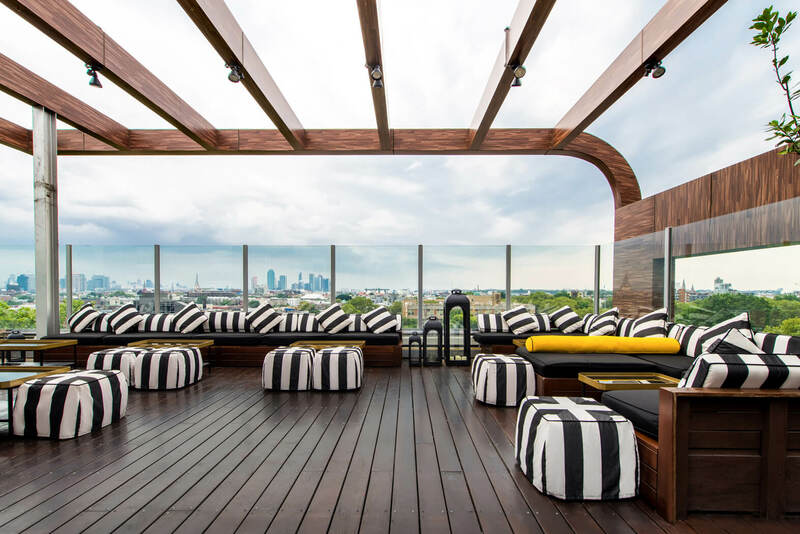 An elegant design with an eclectic aesthetic, this heated rooftop bar features modern black-and-white seating lining a glass partition, with vibrant cushions and ottomans to complement the colorful look. Complete with a roll-back ceiling opening up views to the night sky, this urban oasis will transform into a sultry winter escape this New Year's Eve. 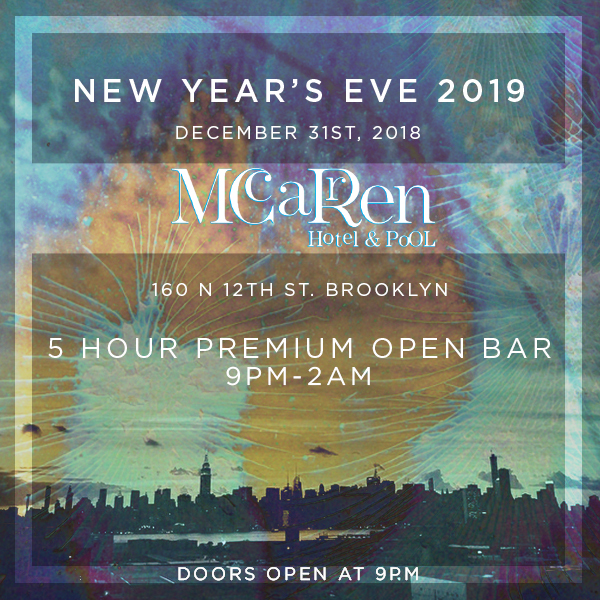 Don't waste your New Year's Eve at another lackluster hotel bar -- come to the McCarren Hotel Rooftop and party like Brooklyn royalty. Snag your tickets now for this exclusive event.